Martin Black’s 496-page biography of George Lennox Watson is a monumental work, and a Christmas present that would make anyone feel feel valued! It describes the Scottish yacht designer’s life and work during what has been called the golden age of yacht design, but also focuses on the emergence of the role of the modern independent designer at a time when design was changing from being a slowly evolving craft to a technological discipline making optimum use of new materials and tank testing. 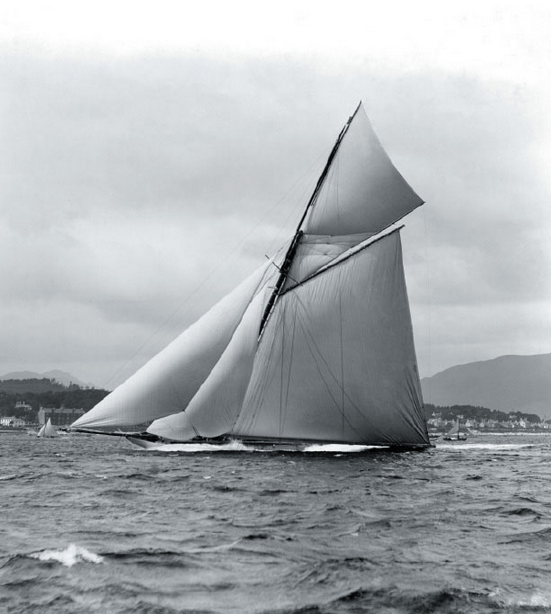 ‘Watson’s genius shines through in early racing cutters carrying clouds of sail, pro-bono pioneering work on lifeboats, America’s Cup challengers, and ultimately in sumptuous steam yachts, Watson’s adage: Straight is the line of duty; curved is the line of beauty… is consistently evident. Read all about Martin Black’s biography of GL Watson at the Peggy Bawn Press website. Also read about the restored Peggy Bawn here.